track planning tool ever made. Better tools let you create better designs! 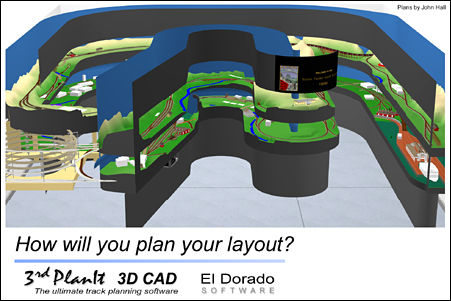 Thousands of layouts have been designed and built using 3rd PlanIt. From tabletop Z scale, through 4x8’s, room-sized layouts, basement and outbuilding empires and a full-scale ethanol plant, 3rd PlanIt is the CAD software chosen by the most discriminating hobbyists. 3rd PlanIt now includes an incredibly powerful design tool: SoftTrak. 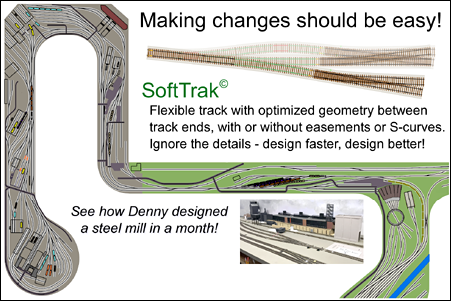 Draw track from point to point, while SoftTrak creates the curves and easements automatically. It’s like using a multi-segment spline, but made of the same track elements used in prototype railroads. The curve radii and easement lengths are optimized to fit in the available space. 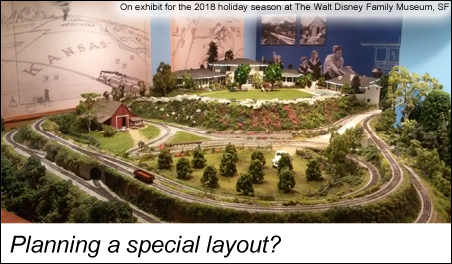 You are able to design your layout to professional standards without all the learning! Take a look at 3rd PlanIt’s full features set in the rest of this site, and you’ll find everything you need to create a layout you never considered possible. 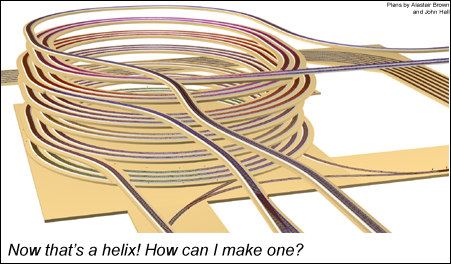 This paper shows you a new way to design sidings with SoftTrak. 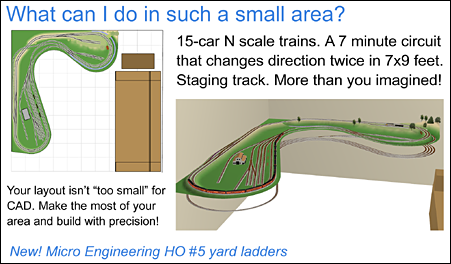 See the new ways you can design and modify your track plan! 3rd PlanIt’s new SoftTrak flexes as you move it, then aligns to other track. Circles and easements are calculated for you! 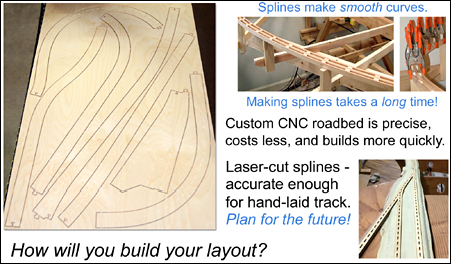 Create Track Splines and Roadbed Splines to simplify layout and construction of your layout with CNC precision. Accurate turnout templates are key to achieving optimal geometry and knowing you can build exactly what you design.  El Dorado Software thanks the manufacturers who contribute DXF files of their product line so we can offer you exact templates. They are sharing the precious Intellectual Property, and we thank them sincerely for their trust. Without a doubt, this list will grow over time. Both manufacturers and their customers benefit! The O-100 turnout shown here is from Gargraves, our newest contributor. These companies deserve special consideration!